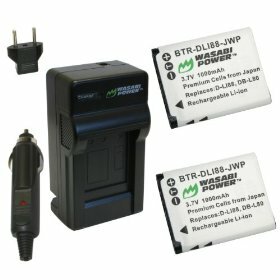 Transforms your car lighter socket into an AC Power Outlet to charge or run laptops, cell phones, camcorders and game consoles. Converts 12 Volt DC power from car battery into household electricity. Automatic shutdown circuitry prevents total battery discharge. Overload and over temperature protection. Internal fuse protects your equipment. 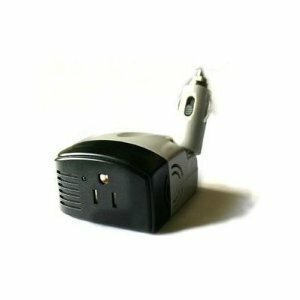 Three-prong AC outlet to handle all chargers and adapters for mobile electronics: cellular telephones, laptop computers, camcorders and game consoles. Stylish plastic case with molded-in cigarette lighter connector. Compact and lightweight. This inverter is compatible with the following laptop models: dv4z Entertainment Notebook PC (1.9GHz, 250GB HD, 4GB RAM), dv5-1000us Notebook , dv5-1002nr, dv5-1004nr and dv5-1015nr. The Wasabi Power® name, images, and contents of this listing are protected by trademarks and copyrights. Copyright � 2000-2009 Blue Nook. CE Safety Certification. UL Listed. Meets (or exceeds) OEM standards.